PRATT FIELD – Following a resounding 17-9 win against archrival Williams, the Amherst men’s football team solidified a spot in the 2014 MIAA Division 1 Football Playoff, where they will face the top high school programs in the state. 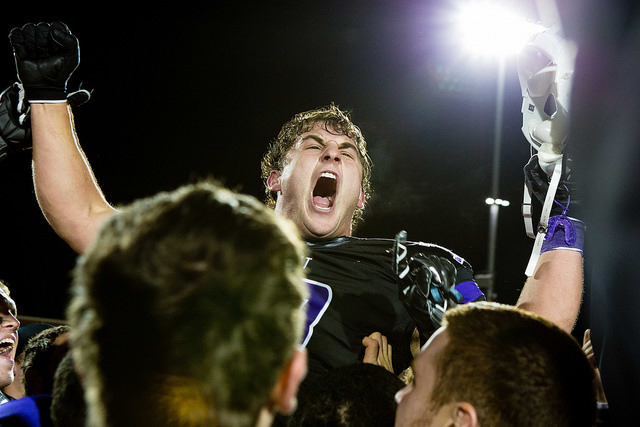 The road to the Massachusetts high school football state championship will be an uphill battle. The Lord Jeffs, coming from the weak NESCAC conference, will likely face powerhouse Xaverian Brothers High School in the first round. Xaverian is led by heartthrob quarterback and odds-on Homecoming King Jack Anderson, who recently committed to play at Tulane next fall.